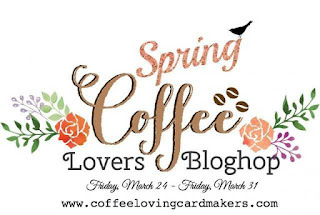 Dina Kowal Creative: SPRING Coffee Lovers Blog Hop! It's time for the Coffee Lovers Blog Hop, and I'm so excited to be a Super Sponsor again! Keep reading for the prizes and a special coupon code for my online store! I watercolored this fun little caffeinated scene from Stampendous for the occasion ... I used QoR watercolors along with some Zig and Distress markers for the details and shadows. The sentiment is from my stamp line at Impression Obsession. The paper strips I used for the background panel were on my desk from a few other projects - I love putting random scraps together to make a panel like this - such a fun way to build a color palette! These 3 handmade pendants are up for grabs as prizes this week! You can find them and more coffee (and other!) themed gifts in my online store - and to thank you for hopping and visiting today, you can use coupon code COFFEEHOP for 20% off your entire order! PS. I linked up to the current House Mouse Challenge (#237) too, just for fun! So cute! And what fun pendents! How ADORABLE. Your coloring is amazing, such a fabulous design. Hi Dina, what a super fun and beautifully colored card. You a such a great sponsor. The jewellery is beautiful. I love that the cup is yellow and white stripes. great job on it. Thank you so much for sharing! Love your watercoloring and how can resist House Mouse? =) Your pendants are great as well. Thanks for sharing and being a super sponsor. 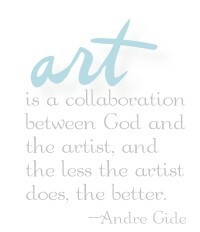 =) I enjoy being able to see more art for inspiration! So cute! Love how you used paper scraps in the background! Such cute mouse image playing around the coffee cup and your coloring has so much dimension, love it! And such fun filled pendants! Thanks for sponsoring! Hi Dina! Thank you so much for being a sponsor at the Spring CLBH! Love your art work. So happy to own one of your beautiful pendants. Your card is just darling - love the House Mouse mice. fabulous card Dina! thanks for being a sponsor and a chance to win! Wow! Thanks for being one of the AMAZING Super Sponsors!!! Such a funny card and pendents!!! OMG!!! I just absolutely adore House Mouse and your card is just so adorable!!!! I have never scene this stamp!! You colored them beautifully!!! Your caffeinated mice will surely Perk Up the recipient. I love how you used your colorful strips and your coloring. TFS Dina. Hugs..
Love the 'House Mouse' theme, really made a cute card. These are all super sweet! I love the mice in the cups! Adorable! This is adorable!~ What beautiful coloring. Thanks for being a Sponsor. What a cute card, and sweet pendants. Great card! Love the pendents..
Those mice definitely look like me after I drink some java. :) Such a cute scene! Thanks for sponsoring the Hop! Cute card design and wonderful prizes. Thanks for being a sponsor too! I love this image. The mice look so excited to get their coffee. Thank you for being a sponsor. Hahaha! Look at those adorable mice hopped up on caffeine! Love your beautiful pendants - thanks for the code and for sponsoring the hop! Super fun card!! Thanks for being a Super Sponsor for the hop. I love these Stampendous mice. Such a fun card! Thanks for the coupon code and for being a super sponsor. These Stampendous mice are great. . .I often use these critters and, after seeing this card, will be adding another stamp to my collection. It's a great choice for this blog hop. Thanks for sharing. So cute, love those mice!! Such a cute card and I love the pendants so pretty and unique. Great job! Those mice look like they are having so much fun! What an adorable card! I do love how you used those leftover strips... love leftovers! Thanks so much for being a sponsor again! This is so adorable!! Your coloring is amazing and that strip background is fabulous!! Such Fun Card! Thanks for sponsoring the hop. Dina, that card is super adorable! LOVE your coloring! And your necklace is super fabulous. Thank you for being a sponsor! your card is delightful even though I dislike mice. Cute jewelry pieces. Wow!!! Gorgeous card!! Thanks so much for being a sponsor!!! Now those are some happy little mice! Your coloring is fabulous and this card is adorable! What an adorable card and love the stamp you used! Awww, this card is just precious!! Beautiful card!! Love the mousies! Oh MY GOSH!!! I am having fun looking at the wonderful watercoloring you did on this image...simply amazing. Made my heart go pitter pat :)!!! Darling card!! The pendants are gorgeous! Beautiful pendants and such a cute card. Cute House Mouse card and thanks for the tip on using scraps. Your pendants are delightful. Adorable card! Not a fan of mice, but these are adorable. Lovely pendants as well. Oh I love house mouse. This is stinking cute. 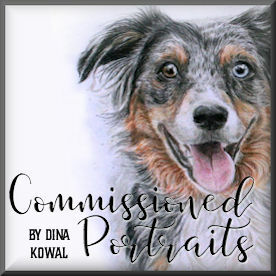 Oh wow Dina, your creations are absolutely amazing! So talented and creative! What a delightful design! Super cute mice! Thanks so much for being a sponsor! So adorable, I love it!!! Very cute house mouse stamp. I like your coloring. Thanks for being a sponsor.